Amtrak's improbable survival comes despite a mandate to be self-sustaining that applies to no other mode of transportation. Killing long-distance trains to fund promised short runs is no route to success. Passengers stuck on Amtrak’s Coast Starlight for more than a day in Oregon got off lucky. The mishap, when the train hit a tree that had fallen on the tracks, is minor in the history of American railroading. On March 1st, 1910, an avalanche on the Great Northern Railway in northeast King County swept two waiting trains down the mountainside, killing 96. It was one of the nation’s worst railroad disasters and led to construction of a longer, safer Cascade Tunnel. In 1952, the City of San Francisco, a modern passenger train and pride of the Southern Pacific Railroad, became stuck in a blizzard in the Sierras. The most powerful rotary snowplows couldn’t make a dent in the snow. More than 200 passengers were marooned for more than three days before they could walk out with rescuers. Mother Nature will always challenge American passenger trains. Bad policy and leadership, however, are the mortal threats. 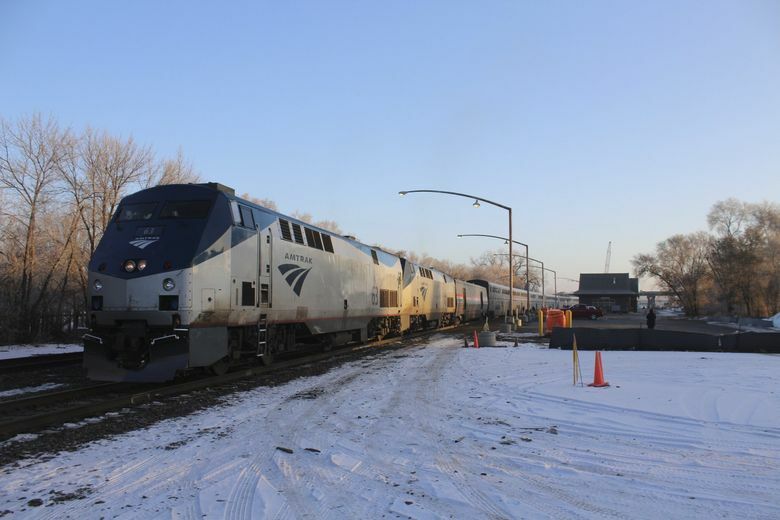 Earlier this month, the Wall Street Journal reported that Amtrak is considering revamping its network to serve more short-distance routes, “seeking to attract millions more passengers.” This welcome event would come at a cost of long-distance trains such as the Coast Starlight, which connects Seattle with Los Angeles, and the Empire Builder, which runs to Chicago. I’ve taken both trains, and they are magic. The vacation begins the moment you take your seat. You see the country in a way that is impossible from an airliner or automobile. Killing these trains, the legacy of some of America’s most famous routes, would be an incalculable loss. The Amtrak trial balloon may go nowhere. It would require approval of Congress, where a surprisingly bipartisan coalition of lawmakers protects the national network and its backbone of long-distance trains. But it offers a window into the thinking of Amtrak’s chief executive since 2017, Richard Anderson. Unlike Amtrak’s most successful bosses, Graham Claytor and Joe Boardman, Anderson has no railroad experience. He was CEO of Delta Air Lines. Since Anderson took over, cost-cutting, always an Amtrak mania, assumed new urgency. This was felt by passengers in such areas as more limited food service. As any industry from technology to newspapers can attest, you can’t cut your way to success. Amtrak was created as by Congress in 1971 to preserve a national passenger-train system; most private railroads were desperate to exit the passenger business. The likes of Great Northern, Northern Pacific, Southern Pacific, Santa Fe, New York Central, Pennsylvania, and Baltimore and Ohio, had once operated the world’s finest passenger trains. They often moved faster than U.S. trains do today, with luxurious service on the first-class fleet. But federal subsidies for highways and airports hammered them on one side while extreme regulation and taxes punched them on the other. Even so, when Amtrak took over on May 1st, 1971, hundreds of surviving passenger trains were foolishly discontinued. One of the original sins of Amtrak was the failure of policymakers in the Nixon administration and Congress to recognize that all forms of transportation require public subsidies. Most are cloaked or ignored. But Amtrak’s annual subsidy routinely becomes a battleground, with conservatives expecting the railroad to become self-sustaining. A far better outcome: Amtrak receives a predictable and adequate subsidy that can grow with demand and factor in such needs as equipment replacement. Amtrak received nearly $2 billion from Congress this fiscal year (President Trump had wanted a drastic cut). That represents 0.0483 percent of the unified federal budget and 0.156 percent of discretionary spending. Yes, Congress is contradictory. Majorities protect Amtrak’s (inadequate) budget every year. But they consistently demand better financial results. Lack of funding builds a feedback loop of cuts that hurt service, thus dampening ridership, thus risking revenue. Even so, in 2017, Amtrak recorded its lowest operating loss in decades while ridership grew. A second sin was that, outside of the Northeast Corridor, Amtrak was forced to operate on the rails of the freight railroads. For many years, an agreement gave Amtrak priority over freight trains. But delays have become more common. Despite being set up to fail, Amtrak remains popular. State programs, such as the Cascades trains in Washington and Oregon, are especially successful. But America, which was once synonymous with fast, convenient passenger trains, is far behind other advanced urbanized nations. The result is a constant struggle to survive — as climate change and congested roads make the need for this mode of travel urgent. How to build high-speed rail is a topic for another column. Whether the private freight railroads would have done a better job if Washington had simply subsidized them is an interesting counterfactual, but too late. In the meantime, we could make progress rebuilding our once-great conventional passenger-train system. The idea of fast, frequent trains between, say, Cleveland and Cincinnati is appealing — if Congress would fund it. And if states would kick in their own funding. Neither are guaranteed. But using that promise as a smokescreen to kill long-distance trains would be a historic mistake. Congress needs to switch this idea to a siding and leave it there.